Sunil Gupta moved to New York City in the early 1970s to pursue an MBA, but the city had other plans for him. After realizing he had a passion for photography (Gupta would often hangout on Christopher Street and photograph the young men who were bravely creating some of the first gay public spaces), Sunil left the prospect of an MBA behind and began studying photography under Lisette Model at The New School. We all have our own story of where we were and who we were with when we learned Michael Jackson was dead. I was in the car with my mom and my older brother, we heard the news over the radio. Despite the controversies that followed Jackson through his late years, his lasting impact on our global culture is undeniable. This is what’s explored in the new book, “Michael Jackson: On the Wall”. 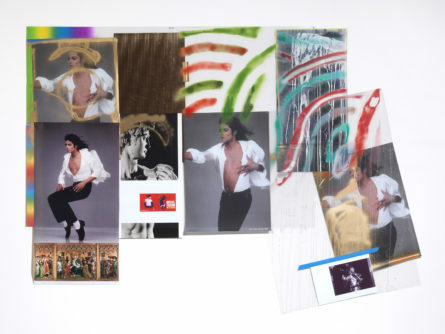 The work of over 40 major artists who were inspired by Michael, including David LaChapelle and Andy Warhol, are compiled and reflected on. Wind (Michael/David) by Isa Genzken 2009. Marieluise Hessel Collection, Hessel Museum of Art, Center for Curatorial Studies, Bard College, Annandale-on-Hudson, New York. Courtesy of neugerriemschneider, Berlin. Photo by Jen Ziehe ©Isa Genzken, VG-Bild Kunst and DACS, London 2018. Throughout childhood, photographer Meryl Meisler was told that because she was Jewish, she would never go to heaven. Instead, she would be stuck in purgatory — a spiritual limbo. With a medium format camera in hand, Meryl set out in the 1970s to make sense of a changing world not “meant” for her. Her photographs, collected in her book “Purgatory & Paradise: Sassy ‘70s Suburbia & the City” (Bizarre) provides an inside look into those sacred suburban spaces many admire from the outskirts, but have hard time truly fitting in. Meryl’s relationship to Long Island and New York City played an active role in both her coming of age and eventual coming out. The theatrics of New York City nightlife are seen a plenty in her photography, and there are handfuls of the suburban mundane too. From prom nights, to family dinners, to dance parties and beach-bods, the subject most present in Meryl’s photography is a documentarian’s bravery. It took bravery to photograph certain scenes, and it also took bravery for her subjects – many of them queer and people of color – confident enough to be themselves in front of the lens at a time where freedom of expression was heavily suppressed by greater-white society. Many of the images in this book are previously unseen. Printed side by side, the images show how necessary all these different signs of strength can partner with general empathy. GingerNutz reminds us fashion is for fun, and any animal can model! A wearer of many hats, writer Michael Roberts mixes his bounty of interest in his latest book, GingerNutz Takes Paris (MW Editions). Inspired by his close friend, foreword-writer and fashion icon Grace Coddington, we follow GingerNutz, the world’s first orangutan supermodel, around Paris. The illustrations, hand-drawn by Michael, feature our heroine at photoshoots, parties, iconic Parisian sites, and fittings at the ateliers of designers from Dior to Comme des Garçons. The outfits featured throughout the story were selected by Grace herself, lending her hand back into styling. A former model herself, Grace long helmed the fashion pages at American Vogue serving as Creative Director for thirty years. Prior to writing and illustrating books, Michael served as Fashion Director of both Vanity Fair and the New Yorker. His former titles explain the palpable love for clothes noticeable on each page. The drawings – themselves printed on creamy stock paper – harken to classic illustrations from magazines’ past, giving the pink fabric-bound book a vintage, elegant feel. 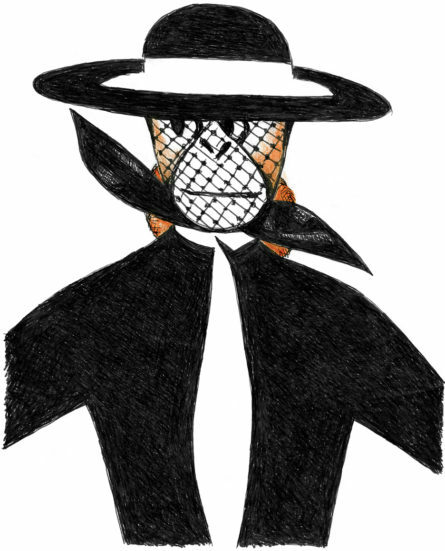 Whether it’s read by a child or an adult admirer of what is considered to be in vogue, GingerNutz Takes Paris serves not only as a reminder of the fun side of fashion, but also as a tribute to Grace’s unwavering influence and the original (and dare we say returning) fashion capital of the world. The first in a series showcasing the artist's multifaceted practice. Best known as the frontman of alt-rock band R.E.M., Michael Stipe is an artist in the most far-reaching sense of the word. His distinct vocals are hard not to recognize thanks to the popularity of tracks like “Losing My Religion” and “Shiny Happy People”. Stipe has also worked extensively in film, founding two production companies and acting as the executive producer behind well-known independent hits like like Being John Malkovich and Velvet Goldmine. His circle of friends — musicians Natalie Merchant, Tori Amos, Thom Yorke, Courtney Love, and the late Kurt Cobain, just to name a few — reads like a who’s who of the 90’s alternative rock scene. It should comes as no surprise that Stipe would extend his practice into the realm of the visual for his latest project — a photo book. Volume I is the first in the series “presenting different aspects of Michael Stipe’s multifaceted artistic practice.” Here Stipe and co-collaborator Jonathan Berger work with photographs; there are thirty-five in total and through them Stipe plays an array of roles. He moves fluidly between subject, photographer, and curator, putting together his own photographs with found pieces from his collection. 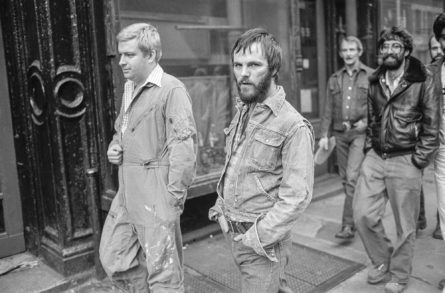 Present in condensed form are 37-years of Stipe’s artistic practice of creating and collecting materials, and he involves the two practices in Volume 1 as he conflates “figures in his own life with those in American history and popular culture,” focusing specifically within his experience as a queer man. All images courtesy of D.A.P. In 1966 Andy Warhol released The Chelsea Girls, a three and a half hour experimental film which would become his greatest commercial success. Part documentation, part experiment in hyperreality, the film is a series of vignettes in which Warhol’s superstars play altered versions of themselves. Everything is shown in split-screen and the audio alternates between the two videos. In one sequence German singer Nico cuts her own bangs. In another the artist Brigid Berlin plays herself (nicknamed “the Duchess”) wearing gold chains and shooting up amphetamines. In one of many scenes shot at the Chelsea Hotel, Mary Woronov, playing Vietnam War-era radio host Hanoi Hannah, barks at Warhol’s Ingrid Superstar, Angelina “Pepper” Davis and Susan Bottomly, also known as International Velvet. The Chelsea Girls is dark and glamorous and mundane, and above all, voyeuristic. Upon its release audiences were captivated, critics were polarized but ever opinionated, and the film would go on to be played internationally for two years. Andy Warhol, The Chelsea Girls, 1966. Pictured: Nico. Before a celebrity begins writing a memoir, they need to decide who they’re writing for. Is it for fans, or a general audience? For any gay or LGBTQ+ identifying celebrity there’s another layer of consideration: Is this for the community? It’s a powerful moment of self-awareness that most gay men can relate to. At its heart, Boys Keep Swinging is the story of an effeminate boy realizing he is an outsider. He’ll need to learn to harness the anger, and hidden mental anguish that are often supplemental to being a fag. The House of Dior, founded in 1946 by the eponymous Christian Dior, should need no introduction, but in case you are unfamiliar, The House of Dior: Seventy Years of Haute Couture is a lavish introduction to the breathtaking evolution of one of fashion’s most honored houses. Dior is a titan in the fashion industry that has continuously boasted successful lines of ready-to-wear fashion, fragrances, leather goods, accessories, timepieces, jewelry, and, of course, haute couture. Together with the National Gallery of Victoria, Dior has released this brand-new, gorgeously constructed book to celebrate their 70th anniversary. Written by Katie Somerville, Lydia Kamitsis, and Danielle Whitfield, The House of Dior breaks down each era of the house since its inception in 1947, separated into sections and themes based on the tenures of the many legendary creative directors of the house: Christian Dior (1946-1957), Yves Saint-Laurent (1957–1960), Marc Bohan (1960–1989), Gianfranco Ferré (1989–1997), John Galliano (1997–2011), Bill Gaytten (2011–2012), Raf Simons (2012–2015), and the first female creative director of Dior, Maria Grazia Chiuri (2016–present). 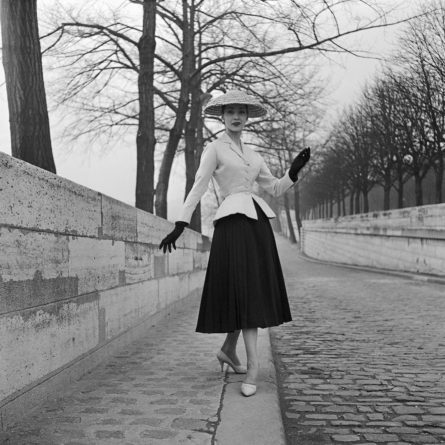 Christian Dior (designer). Bar, afternoon ensemble spring-summer 1947 collection modeled by Reneé 1955. Mixing painting with the written word 'We Can't Make You Younger' shines new light on the queer experience. Manuel Solano is a multidisciplinary artist whose first solo show at Museo Carrillo Gil opened last year, in Mexico City. The exhibition consisted of mostly paintings from their series Blind Transgender with AIDS, made shortly after he lost his eyesight in 2014 due to HIV-related complications. (Solano has identified as both transgender and nonbinary, but uses masculine pronouns). “The impression I have is that I was left for dead,” he told writer Benoît Loiseau in GAYLETTER Issue 7. 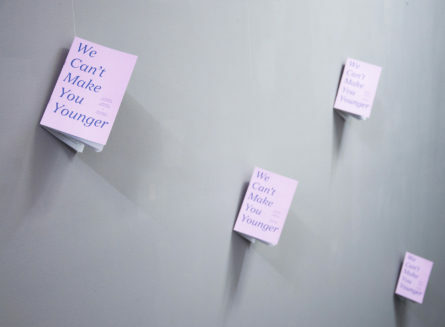 “We Can’t Make You Younger” marks the first collaboration between the Mexico City writer and artist. The collection includes three short stories written by Loiseau with accompanying artwork by Solano who was recently selected to show in the New Museum’s 2018 Triennial. The stories are simply and directly written, and when matched with Solano’s gestural, immediate painting style, create a collection that is stunningly powerful, and quietly haunting. “The stories deal with fundamental issues, including loss, sexuality, romantic attachment, and so called spirituality,” writes Chris Sharp in the foreword. Simply put, this collaboration is beautiful synergy of the queer and the relatable: striking images and poignant stories that both delight and devastate with their quotidian and universally resonant content that ranges from Michael Stipe to a not-so-friendly queer cabaret performer. Available wherever you buy books.